The atlas is the uppermost bone of the spine, which has the important job of protecting the brainstem. The brainstem is the transitional area where the brain starts its communication with the spinal cord. Misalignments of this area cause stress and pressure on the entire nervous system. This creates a chain reaction of: head-tilt, compensatory misalignment at lower levels of the spine, diminished nervous system function, and other symptoms in the head, neck and any other region of the body. In addition to this, the most recent research has shown that restrictions in this upper cervical region of the spine create diminished cerebral spinal fluid flow – causing other compensatory reactions, and symptomatology throughout the entire body – a syndrome known as Cranial Cervical Syndrome by the medical community, and for over 100 years known as Upper Cervical Subluxation by the Chiropractic profession. Atlas Orthogonality is the art and science of adjusting the first cervical vertebra (Atlas) with a specific, gentle, low force percussion instrument thereby restoring the spinal vertebrae to a more normal position. 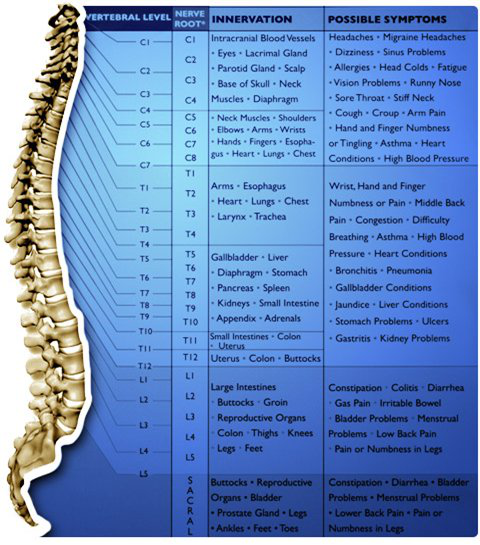 This allows for a clear pathway for spinal nerves maximizing function, mobility and health. A normal Atlas is aligned squarely with both the spine and skull. A misaligned or subluxated Atlas is not square. The adjusting instrument is a safe, gentle, and precise method of correcting a misaligned (subluxated) Atlas vertebrae, without physical manipulation. The stylus delivers a precise impulse to the exact area needed as determined by X-rays. Watch a short video further describing the instrument and adjustment here. We also have videos from the official Atlas Orthogonal Technique site.